Skin care for your big day. Have you got your beauty schedule in order? So as the cold weather has now hit I thought it was timely to have a chat with Elisa (a fabulous beauty therapist in Jindabyne) who specialises in organic and natural skincare routines, and is an expert on getting the best out of your skin even in the cold, dry environment like the Snowy Mountains as well as what she would recommend for prepping and the lead up to your big day. How long before the big day do you recommend a bride and groom should come in for a consult? A great deal of time goes in to planning a wedding, so why shouldn’t you plan your complexion too? Depending on your skin type, anywhere from 6 to 12 months in advance. This gives you plenty of time to get on top of any issues, and literally feel comfortable in your own skin. Can you suggest any techniques a the couple can use to enhance their skin? The skin is our body’s largest organ, and just like any other part of our body, it is affected by a range of factors including our general health, our diet, level of hydration, hormones, stress and the environment we live in. It is vital for good skin health to stay hydrated. That’s probably the first thing I would say to anybody. Followed by making sure you are getting enough vitamin A, C and E, as well as taking a good probiotic. Make sure your shampoos, conditioners and body wash are free from SLS’s (sodium lauryl sulphate and sodium laureth sulphate). And finally I would recommend that every bride treat themselves to regular facials and mild skin peels to really rejuvenate their skin and promote lots of healthy new skin growth. You mention facials. When should they happen? Ideally you should be having a facial every 4-6 weeks, to promote and enhance cell turnover and formation of new healthy skin cells. Start having regular facials at least 6 months prior to the wedding, or even 12 months to really optimise the results. Should brides and grooms be doing anything else over the winter months to care for their skin? In winter the air is much drier, due to the drop in temperature. Colder air means dehydrated skin. Also, many people work in overheated offices and buildings. The constant transition from hot to cold exacerbates the effects of dehydration. Obviously the biggest thing here is hydrate, hydrate, hydrate. Drinking lots and lots of water, though it can be a little harder in winter but anything is better than nothing but if you can get there 1L before lunch, and another litre after lunch to make sure your skin are getting enough. Diet is also important throughout the winter, as we are all tempted to go for richer, filling comfort food in colder weather. This can affect your skin, so maintain a good diet with plenty of fresh vegetables to maximise your vitamin intake. Include an extra moisture boost in your daily skin care routine. I find many of my clients have different skincare product needs in summer versus winter. Invariably, the richer and more powerful moisturisers are needed in winter to keep skin at its best. 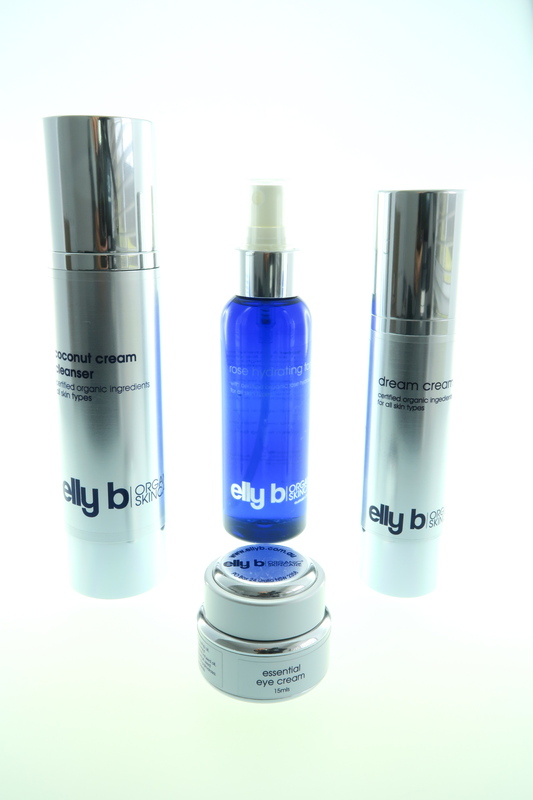 I recommend elly b organic products, and in particular the elly b dream cream is an essential addition to my winter skin care regime. Remember to exfoliate regularly, to promote the generation of new skin cells. Eye creams are helpful to treat the sensitive areas around the eye. Consider bringing your toner with you throughout the day to keep you refreshed and moist. Not all brides and grooms can afford regular facials. If money is tight what should be a priority for those looking to maximise their skin on a budget? As a baseline, you can’t go without a regular home skincare routine. Commit to regular skincare and you will be rewarded. Invest in good quality products – and remember that with most good quality skincare products, a little bit goes a long way. The price may seem high, but that one little pot of eye cream should last you several months and will give you far better results than a cheaper alternative. Maybe look at a quality cleanser and moisturiser as a starting point. Also, take the time to seek out a professional skincare education session. You will be shown how to use products correctly, and receive advice on which products are the most suitable for your skin type.